Large Pear Shape Diamond Necklace. 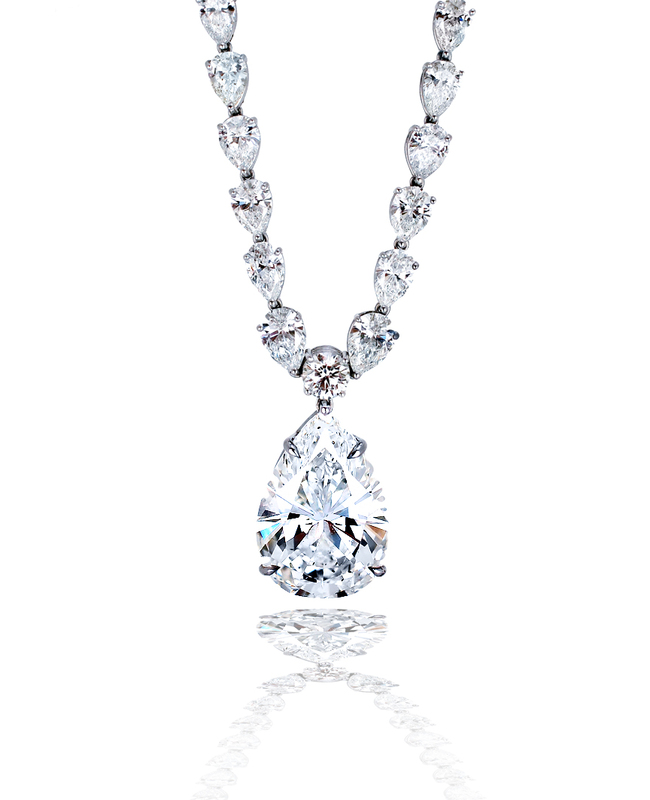 An amazing diamond necklace featuring a museum worthy pear shape diamond that represents the pinnacle of quality. 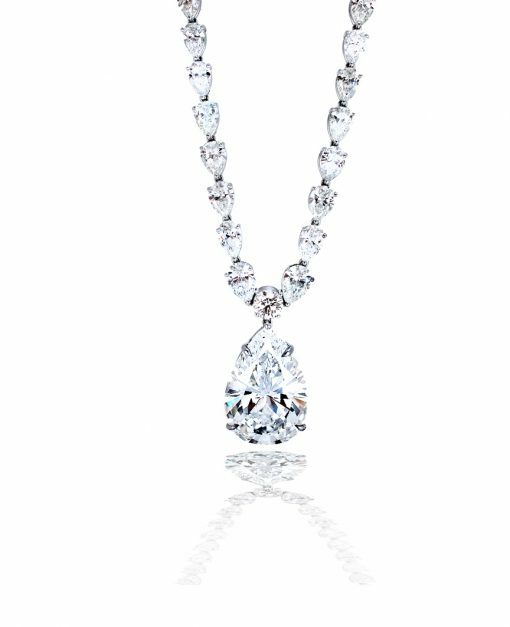 The center pear diamond is set in a bespoke diamond necklace setting deserving of a stone so large and beautiful. The center diamond is complimented by graduated matching pear shape diamonds each weighing between 2 to 1 carats. This piece was crafted by our in-house master jeweler and available by appointment. Necklaces like this one and many more can be found at our Newport Beach showroom. Located north of Laguna Beach, Corona Del Mar, and west of Costa Mesa.